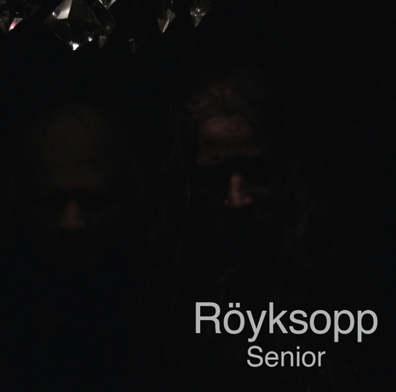 A year after the pop party, guest heavy, Junior, Röyksopp is back with Senior—a dark and moody instrumental affair. The introverted ying to Junior’s unabashedly youthful yang, for the most part the tonal shift doesn’t equate to sleepy. Lack of pop structures be damned, the Norwegian duo have created a freewheeling, pleasant affair—even if we get the feeling we’ve heard it all before. Unlike previous efforts, there’s more of a scattershot sense of experimentation, which pays off. Sorta. It can be fun to play “name the contemporaries” when listening to their cautious experimentation—even when said experimentation veers off the beaten path and into the weeds. “The Drug” borrows a few of Dntel’s signature glitchy beats, repurposing them into a stripped down track that, while hypnotizing, goes on about two minutes too long. Meanwhile, “A Long, Long, Way” plays like a sinister, forgotten, track from Air—without borrowing any of the band’s retro enthusiasm. Perhaps the most impeachable cut is quasi-title track, “Senior Living,” a track that features light spaghetti western influences, and heavy cinematic aspirations.